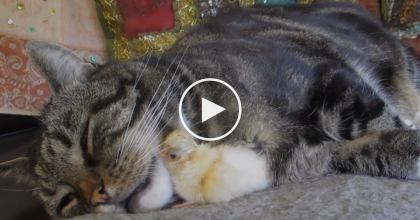 They Came Up With A New Game With Their Kitten, But When You See What It Is…HILARIOUS! 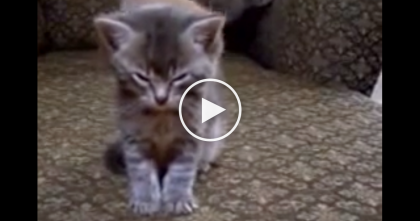 This kitten has possibly never seen this kind of toy before and has no idea how to react to it! It’s the funniest thing ever – the little fluff ball can’t even control his little paws, they just go everywhere trying to catch the toy! The gray kitty will simply amaze you – you won’t be able to stop laughing at this hilarious new game they tried. Who knows how they figured this out, but it’s simply priceless, LOL. 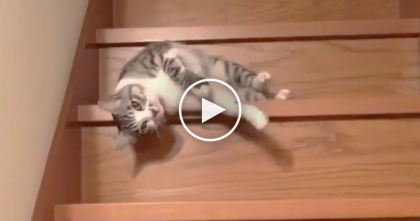 Such a funny kitty—SHARE this hilarious video with friends! 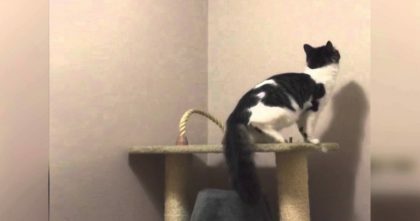 Cat Gets Ready To Jump Up The Wall, But When The Camera Zooms In… Just Watch Him, Oh My Goodness!!! 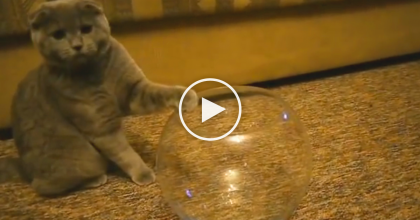 This Kitty Discovers The Fish Bowl And Proves That Cats Are Liquid, Just WATCH.